Three summer camp scholarships are available for teens ages 14 through 17 to attend the Coastal Maine Bird Studies for Teens, June 23-28, 2013, at the Hog Island Audubon Camp. This will be an intensive 6-day, 5-night program with some of the best known birders and ornithologists leading sessions on field identification, bird song recognition, and conservation practices. The program is offered for ages 14-17 only. The program includes the opportunity to observe Audubon’s seabird conservation field research in action, and is the only Hog Island program that lands participants on Eastern Egg Rock during the puffin breeding season. This year, we have a volunteer to drive the recipients to and from camp. An official background check has been completed on this individual. Please visit the Project Puffin website for more information. If interested, contact MaryAnn Lunniss at (570) 226-4288 or send an e-mail to mlunniss@ptd.net. We are pleased to welcome the following new board members, and appreciate their willingness to bring their individual talents to the Northeast PA Audubon Society. Welcome aboard! Sarah Hall grew up in Kane, a small town in northwestern Pennsylvania, known as the Black Cherry Capital of the World. Growing up with the Allegheny National Forest as her backyard sparked Sarah’s interest in conservation and the environment. She graduated from Millersville University in Millersville, Pennsylvania, in May of 2010 with a bachelor of science degree in biology and a concentration in environmental biology. She has minors in chemistry and quantitative methods in environmental science. While she always had an affinity for nature, she fell in love with birds and birding as a student in ornithology at Millersville. Now, as a contract naturalist, she works in education and public outreach at the PPL Wallenpaupack Environmental Learning Center in Hawley, Pennsylvania. Sue Thompson is happy to return to serve on the Board of NEPAS. A graduate of the Pennsylvania State University with a Bachelor of Science Degree in Environmental Education and Interpretive Services and a BS in Therapeutic Recreation with a minor in Psychology, Sue worked as a Clinical Caseworker at the Scranton Counseling Center for several years and then as a Resource Conservationist and Environmental Educator with the Wayne and Pike County Conservation Districts. She continued her education at Marywood University and earned a Master of Arts Degree in Mental Health Counseling, hoping to use her love of natural things within the counseling field. She now works as a child therapist at Friendship House and Marley’s Mission. 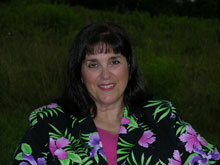 Sue specializes in trauma therapy and treating children, teens, and adults having Asperger’s Syndrome. She is currently in the process of creating an outdoor adventure group which will serve this population. For leisure, Sue spends time traveling with her husband to our nation’s national parks and both local and not-so-local lovely places. She enjoys hiking with her beagle, writing, photographing, kayaking, musical/vocal performance and practicing to become a stained-glass artist. 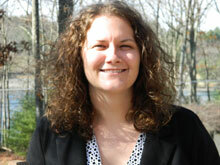 Sue will serve as a member of the NEPAS program planning committee. Earlier this year, Audubon announced its strategic plan, a 2012-2015 roadmap for hemispheric conservation – to make us a more powerful force in restoring bird ecosystems, benefiting humanity, wildlife, and the earth’s overall biodiversity. Identifying the priority bird species for each of the four spring and fall migration flyways – Atlantic, Mississippi, Central and Pacific – and in coordination with the entire Audubon family – staff, board members, centers, state and local chapters, hemispheric partners, and volunteers — Audubon will select and measure results for significant projects and initiatives for which we have the skills and resources. Five strategies have been identified: making land work for both birds and people; sharing our seas and shores; shaping a healthy climate with a clean energy future; creating bird-friendly communities; and saving important bird areas. Visit Audubon’s Strategic Plan on the national website, where you can find (and download) the entire strategic plan in PDF format.